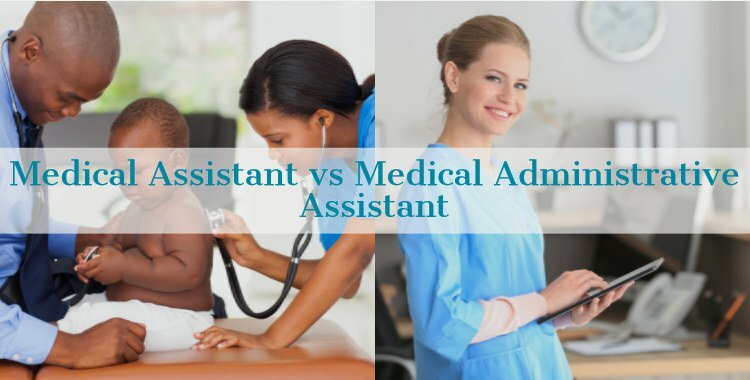 On the surface there doesn’t seem to be much difference between medical assistant and medical administrative assistant but, despite the similarity in names, the two positions have very different roles and responsibilities. Both medical assistants and medical administrative assistants are customer facing, and they are one of the first members of a clinical practice to interact with patients during the 990 million visits we make to a healthcare provider each year. The difference between the two roles becomes more apparent when it comes to treating those patients, as the medical administrative assistant is primarily clerical whereas the medical assistant can perform both administrative duties and, to a limited extent, treat patients. The duties of a medical assistant will change from practice to practice but, as a general rule, their responsibilities mix administrative and therapeutic tasks to support both the physicians and the practice manager. Below are some of the more common functions a medical assistant might be called upon to complete. Taking Vital Signs – Medical assistants are often called upon to take vital signs from a patient, such as height/weight, blood pressure, pulse and temperature. Give Patients Injections Or Medications – Depending on which state they operate in; some medical assistants are able to give patients injections or administer medication. This process must be directed by and observed by a physician at all times. Help Physicians With Patient Examinations – The medical assistant delete assists physicians when they are conducting an examination of a patient. Both this and the opportunity to administer medical are ideal experiences for those interested in furthering their career in medicine potentially training in nursing roles. Compiling Medical Records And Charts – One of the primary responsibilities of the medical administrative assistant is the compiling and maintaining of medical records and charts. This task requires a high level of accuracy and a methodical nature as accuracy is hugely important. Scheduling Appointments – The medical administrative assistant is often responsible for scheduling patient appointments, this task requires good organizational skills, attention to detail and computer literacy. Filing Insurance Paperwork – Part of the medical administrative assistant’s duties may include filling required insurance paperwork, this also requires a significant level of accuracy and attention to detail. Experience in providing administrative support for their practice allows medical administrative assistant the opportunity to potentially move into practice or office management roles. Which Role Would I Suit? Both our medical administrative assistant school and our medical assistant program offer our students the skills and training they will need to find a career in one of the fastest growing job markets in the US. Our course allow our students the opportunity to choose between the more hands-on medical assistant or the administrative responsibilities of the medical administrative assistant. If you’d like to learn more about what our medical assistant and medical administrative assistant courses can offer you, call one of our enrollment specialists on (702) 403-1592 today. We provide flexible learning, with online and on-campus night classes to accommodate your Las Vegas work and family schedule. Once you’ve graduated, our dedicated and experienced Career Services team will work with you to help you find the best employment opportunities in Las Vegas. Call us now on (702) 403-1592 to start your journey!